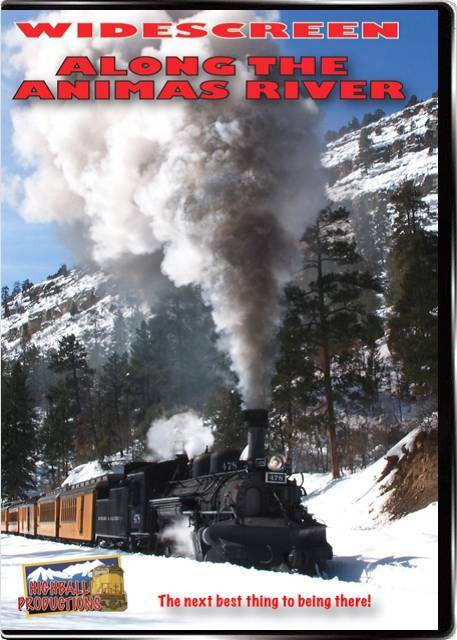 Exciting narrow gauge steam action in the spectacular scenery of Coloradoís Animas River Canyon. A fall Durango & Silverton photographers special provides both sunny and moody, atmospheric weather, and a winter special has glorious sunshine with deep snow. K-28 2-8-2 #478 is the power for the specials, and K-36 2-8-2ís are in charge of the regular passenger trains. Don't miss the action! Narration on/off and a marker for each train. Widescreen version. Plays on any TV. Rail Buff (Southern California) on 2016-03-24 14:46:52. A bit disappointing. The scenery is fantastically beautiful. The snow scenes are unique among movies of this route I have seen. However, when I checked the box "needs more narrative" I mean a LOT more narrative. The presentation, IMO, was a bit disjointed and sometimes disorienting and without a "story line". I often couldn't tell in which direction a train was going, to Durango or to Silverton. Also a number of triple consecutive runs of the same scene, just different camera angles. Trying to show something unique for this often photographed subject is a difficult thing to do, I'm sure, but here Highball has largely succeeded, especially with the snow scenes. Still it's a "keeper" because of the scenery. Just watched this and then watched Highball's "Silverton Train" which had been made about three years earlier, judging by the copyright date. I was very surprised to see many of the scenes in this video were taken, intact, from "Silverton Train". 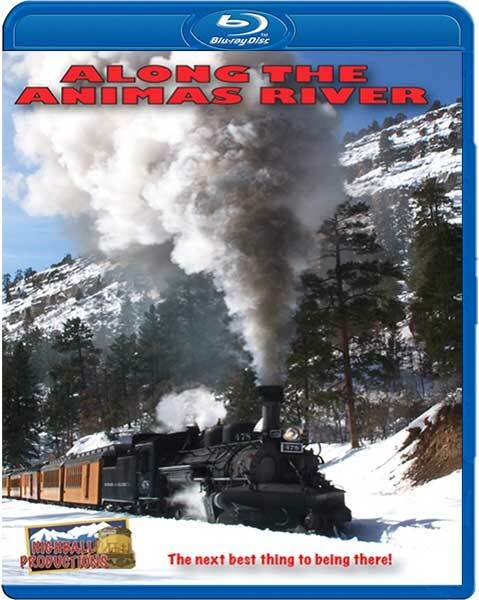 The departure from Durango, the arrival in Silverton, train meets and many scenes in between. Disappointing. "Silverton Train" is the better of the two IMO though I will keep them both.